These films explore the limits that we all share as humans, from “traditions” that we can’t quite shake, to hypothetical next steps as a species. This emotional journey follows a migrant family as they try to overcome the loss of land, the lambs they used to sustain each other, and the death of the protagonist’s brother. As they journey into the city to sell the final lambs they have, he realizes that it won’t be enough, and is forced to sell his sister-in-law as a concubine to a wealthy patron in town for the amount of money he needs to rent land elsewhere, where he hopes to avoid the conflicts he’s found himself in in the past. Stuck “between the devil and the deep sea,” and never seeming to get out of there, the circular narrative and intimate shots leave you feeling just as lost as the final survivor, a young girl, wandering the land with no clear sense of direction and an immense feeling of loss. 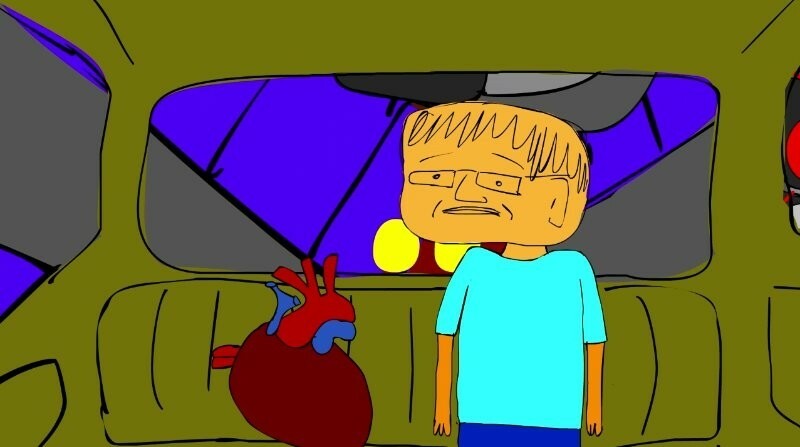 While the animation in this short was exciting and drew me in, the narration of this man going through a heart-attack fell far too short to connect. While referencing a part of the journey where he’s whisked off in an ambulance, he admits that “it looked like a movie,” and this tear in the fourth wall ultimately turned me off from what made this guy really figure out what life is worth living about. I honestly have no idea how this made it into the festival. Did the directors have a friend who curated this? A series of hyper-fast corporate images that seem to be cut from ads in magazines are played over a country-like song that deals with the frustration of the state of the world, to which I hyper-fast checked out of with a lack of anything to really resonate with. A series of short shots on a popular tourist destination made the 13 minutes of film feel like a 13 minute snapshot of postcards. While a narrative is lacking, the images evoke the romanticism of a cliche holiday, and the images that make a vacation so longed for despite the work that goes behind these destination resorts. If Napoleon Dynamite were to make a sci-fi film, I’m pretty sure this is what would be made. I can’t really nail down how, but even if I didn’t know this was made in Utah, I could have easily assumed this was made by someone at BYU. The sense of humor and production styles are reminiscent of a seminary video, and would be great for a the loner in high school to geek out to while a guy turns into a butterfly and feels nervous about going on the date he committed to with his girlfriend to meet her parents.